Guy de la Moroz is a direct descendant of a Dutch mercenary who had come over with William the Conqueror. As magic often attracts magic, natural evolution has made Guy into the most powerful witch in the country and he had risen to be a Madge. By travelling the world, he had also become a shaman in many cultures including Aboriginal, Hindu, American Indian and Amara, Inca and Nazca from South America. Guy lives on a seventy-two foot Big Woolwich ex-working narrow boat named The Wizard of Oz. His boat is also magical and often talks to Guy. His brown and white spaniel called Dorothy is his witch's familiar. Although never married he has two children in the village of Coven, his adopted home. His relationship with the mothers of his two children and various lovers in the village only complicates his life. 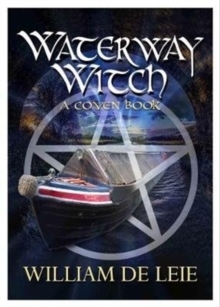 Coven is a quiet little village in Shropshire until one day the vicar's wife is killed on the village green in broad daylight; another murder soon follows which embroils Guy in a merry-go-round of jealousy, madness, revenge and passion as he uses his magical abilities to help solve the case.